Austrian designer Klemens Torggler came up with a spectacular sliding door system. The designer’s Evolution Door slides open without the use of tracks. As you can see in the photo above and in the video below (in slow motion), a gentle flick of the wrist can determine this unconventional room divider to activate the four triangles. This inevitably leads to a cool visual movement “game”, one you don’t get with common sliding doors. 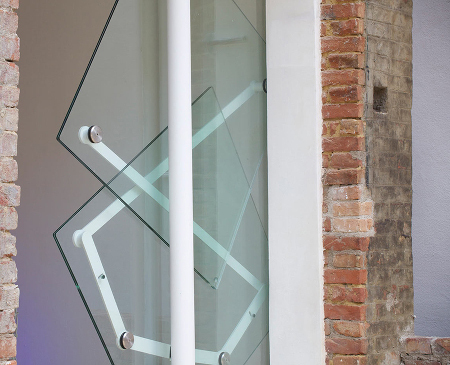 Torggler’s exquisite door concept is based on rotating squares, which makes it possible to move the door sideways without the use of tracks. During the development of the doors, various solutions were found in order to connect the squares efficiently. These technical tricks open up new applications for door building worldwide, according to the designer. Witnessing how this type of door opens and closes would probably never get old. What do you think of it?